I graduated from the University of Connecticut in 1977 and from the University of Maine Law School in 1985. After several years working for other lawyers, I began my own practice in 1990, specializing in personal injury law. Unlike many large law firms, or "litigation machines", I do not make my living by "farming out" cases and accepting referral fees. Instead, I do the work myself and limit the number of cases I take on so that every client I represent receives the time, energy and resources they deserve. 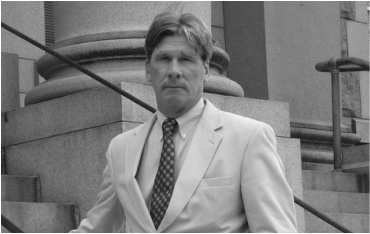 I am licensed in Connecticut and Rhode Island. Under the appropriate circumstances I am able to practice in other states (several years ago I achieved a 1.3 million dollar settlement on behalf of Connecticut plaintiffs injured in an accident in Iowa). I am also licensed to practice before the First Circuit Court of Appeals in Boston, the Second Circuit Court of Appeals in New York, and the United States Supreme Court. Over the years I have received settlements or verdicts with respect to claims filed against a wide spectrum of defendants including United Technologies, the City of New London, Connecticut, the Rhode Island State Police, Hoyts Cinemas, and a major rehabilitation hospital in Connecticut. In the past two years I have achieved settlements in medical malpractice cases in excess of $2,000,000.00. In 2005 I achieved one of the year's largest verdicts in the State of Rhode Island. After decades of experience with personal injury law and other areas of practice, I have acquired the knowledge and expert resources necessary to provide highly skilled legal representation and achieve successful results -- even in lawsuits against large and well-defended corporate defendants.